Hands and digital local time with UTC digital. 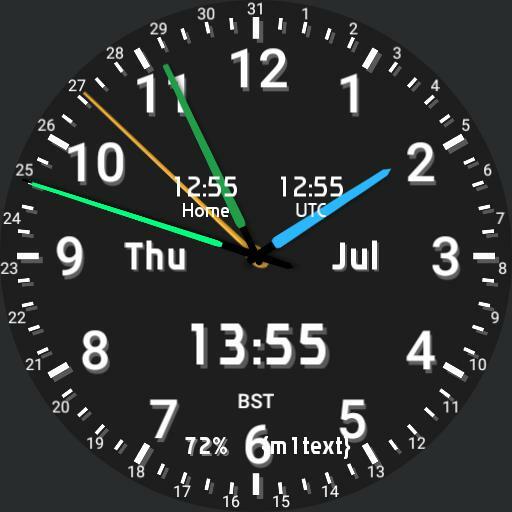 User variable Home Timezone by tapping on the 12 oclock and selecting time offset from UTC. Second hand changes colour with watch battery level.